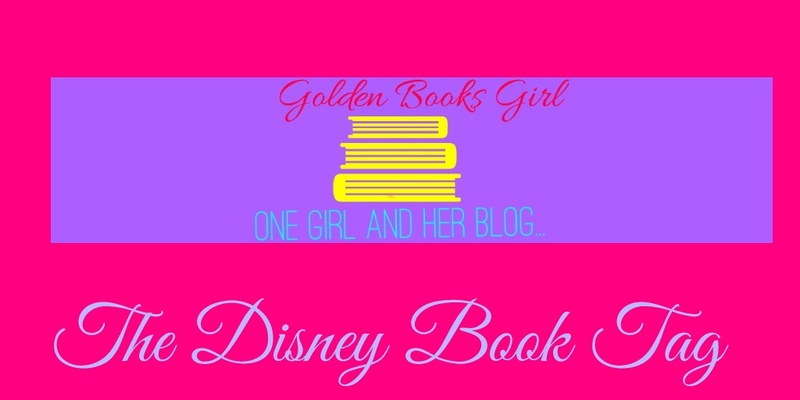 Today I’m combining two of my favourite things in the world; books and Disney. I don’t think it’ll come as a surprise to many of you that I’m choosing Harriet Manners from Geek Girl. Harriet doesn’t feel that she fits in, and I love her journey of realising that she doesn’t need to be super cool, she just needs to be herself, as she’s pretty awesome. For this I decided to go with Hazel Wong from the Murder Most Unladylike Mysteries. Hazel has developed so much from when we first met her in Murder Most Unladylike, and it’s been a privilege to see her change into someone much more confident and happy with themself. For me, I think this has to be Sea by Sarah Driver. This was the Waterstones Children’s Book of the Month back in March and I was super excited when I bought it, but I just couldn’t get into it at all, and it felt like a chore to get through it. I don’t think I’ll be reading the sequel. The only character who immediately comes to mind for this is Suzanne from Beautiful Broken Things by Sara Barnard (which you should definetely read if you haven’t yet, it’s phenomenal). Her childhood was so horrific and it’s watching her recover from it that makes BBT a hard read in places. I’m unsure whether this means intimidating in length or content, so I’ll answer both. The longest book I’ve read is Harry Potter and the Order of the Phoenix, but in honesty I was so hooked by this point that I devoured it in a single day. In terms of content, I think a book I found intimidating in content was To Kill a Mockingbird, which I had to read for English last year. Anyhow, my answer to this is Stacey (one of the characters I most like to moan about, but I digress), who gets to move back to Stoneybrook from New York, at the cost of her parents getting a divorce. This was hard for the opposite reason to the past two- I have so many characters I’d love to meet! I think my top picks would have to be The Gods from Who Let the Gods Out (especially Hermes, who I hated in book 1 and adore after book 2), the Spinster Club Girls (for obvious reasons; they’re totally awesome and have good snacks) and also the characters from Geek Girl as I’ve read them so many times I feel like they’re my friends already. I’m hoping to do a full post about this to tie in with Halloween in October, but a few of my absolute favourite villains are every villain from Who Let the Gods Out, they’re all such incredible villains, Lucretia Cutter from the Beetle Boy books and also Cruella de Vil, from the One Hundred and One Dalmatians by Dodie Smith. I’m tagging Charlotte, Rosie and Andrew! If you’d like to do this, please feel free! This book tag is amazing, definitely wanting to try it. This is such a cool tag!! I loved reading your answers! Love this! I saw it on another blog and totally bookmarked it to steal!